You are here: Home / Decades / 1900-1999 / Hemyock School Football Team 1979. 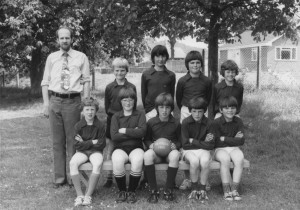 Hemyock School Football Team 1979. Front Row. B.Denning, C.Jones, ?, ?, G. Payne.